For Chicagoans, the days of dining on fatty duck and goose livers are drawing to a close. 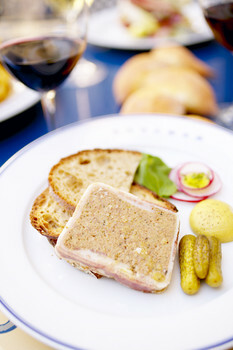 The city council ban on selling foie gras in restaurants takes effect today. Also today, the Illinois Restaurant Association filed a suit against the city, saying the council overstepped its authority with the ban. Anyway, Chicagoans, run out and get that deep-dish foie gras while you can. Yummy!